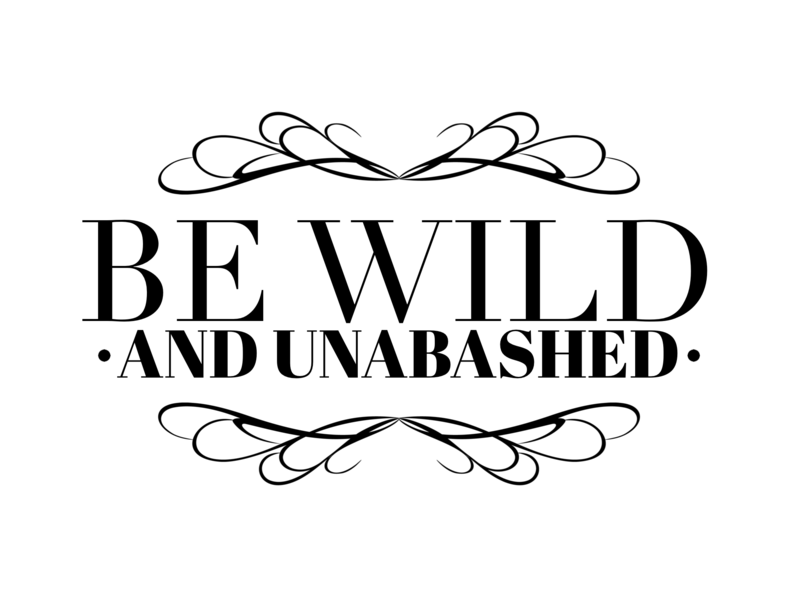 What is Be Wild and Unabashed all about? It’s about living from the inside out. It’s about releasing all blame, shame, and guilt, and being the person you were meant to be. It’s about embracing your totality, loving your faults, loving every wrinkle and every pimple and every damn word you say. It’s about forgiveness. It’s about forgiving ourselves for being less bold, less knowledgable, less wise, less strong, less intelligent, less kind. It’s about living, wildly, unabashedly, and finding joy in each and every damn moment. Read more about my sankalpa here. Hah! Yeah he’s a nut job! Welcome – thanks for reading! So much love. You are beyond inspirational. Transcendent. Beautiful. Empowering.